Lochgilphead Combination comprised the 5 parishes of Glassary, Kilmaconnell and Kilberry, Kilmartin, North Knapdale and South Knapdale. The total population of the member parishes in 1881 was 10,926. 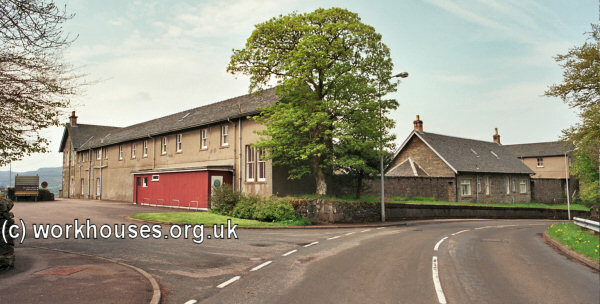 Lochgilphead Combination Poorhouse was erected in 1861 on what became Hospital Road to the east of Lochgilphead. It was designed by local architect/builder David Crow. Its location and layout are shown on the 1899 map below. 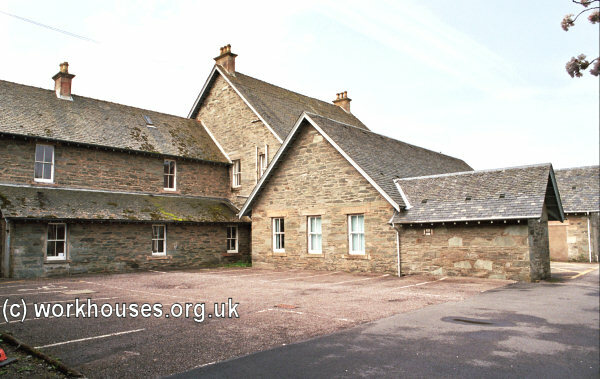 Lochgilphead main block from the south-east, 2004. Lochgilphead rear of main block from the north-east, 2004. 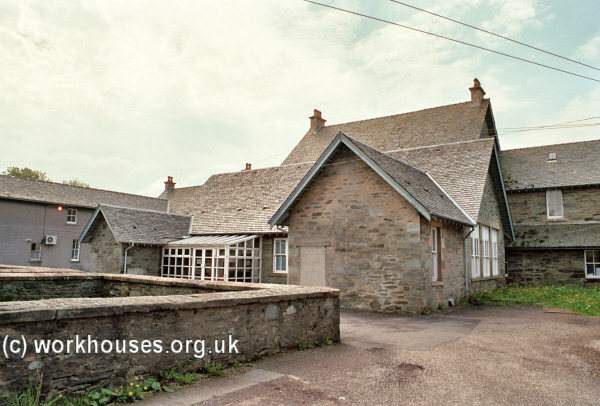 Lochgilphead main block from the north-west, 2004. A small block, perhaps an infirmary, lay facing on to the road at the north of the site. 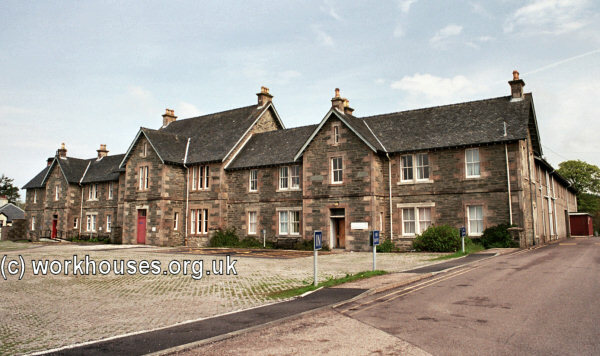 Lochgilphead infirmary(?) block from the south-west, 2004. Lochgilphead general view from the north-east, 2004. The poorhouse suffered damage in a fire in about 1920. The surviving buildings are now used as office accommodation. 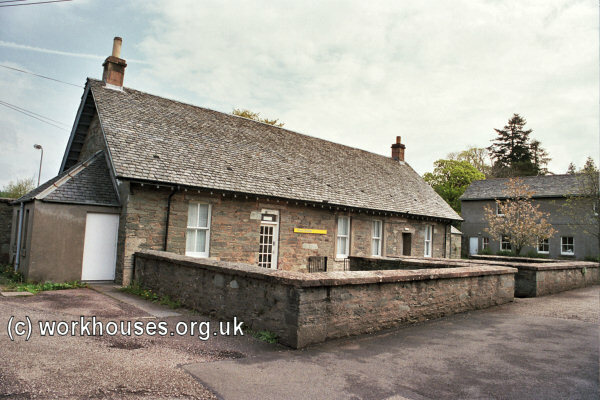 Argyll and Bute Council Archives, Manse Brae, Lochgilphead PA31 8QU, Scotland. Holdings: Minute books (1856-1930, with gaps).